Sometimes things try to be something they're not. Turkey bacon for example, is not bacon. It's no where near bacon and if you ask me, it would be better to never have bacon ever again than to eat something pretending to be bacon. I felt the same way when my sister who was a vegetarian for a time tried to convince me that her fake vegetarian bacon was just as good as the real deal. Not so. Sometimes fake outs are a little less offensive. 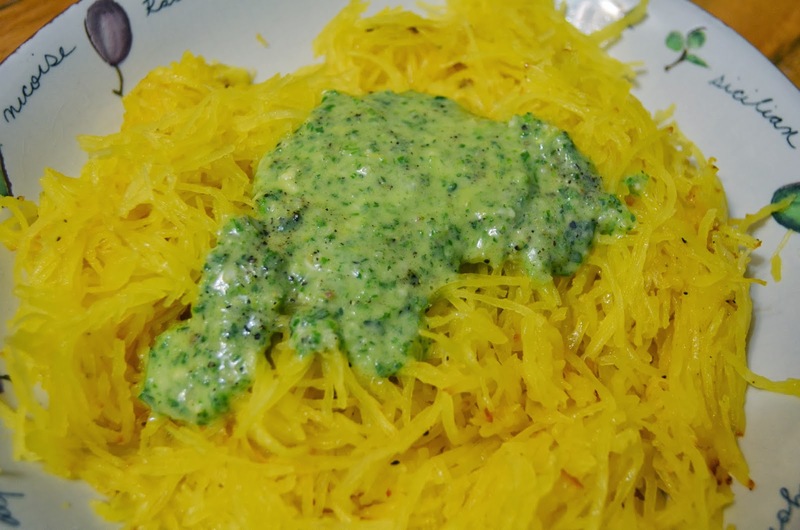 Which brings me to today's featured veggie, spaghetti squash. I read a ton of recipe's from various sources including fitness journals and health/exercise related magazines. 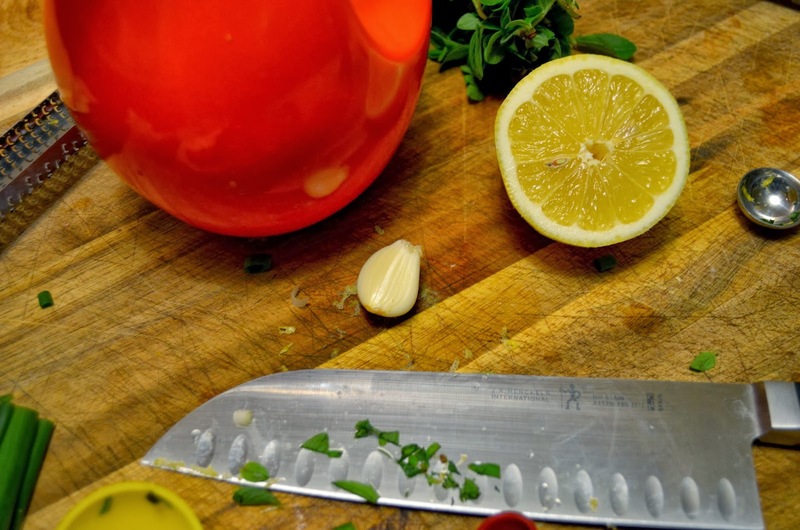 It's not unusual to find recipes that are healthy versions of typically unhealthy favorites. Sometimes they work but many times they just don't quite do the trick. One that seems to pop up all the time is spaghetti squash, either with tomato sauce (vegetarian option) or with meat sauce. For some reason I just wasn't feeling it. The thought of squash (likely imagining the taste of butternut squash) with spaghetti sauce was so unappealing to me. More recently I've decided to give it a good try. We like pasta (a lot!) and we like our rice too (we try to do more brown but we do love our basmati and jasmine rice too). I figured it really couldn't hurt to find a side or a replacement to those white starches. I made a spaghetti pie recipe (with spaghetti squash) a few weeks back that was pretty good. I'm going to make some changes to it next time and then I'll pass it along. The other night I made a nice little side dish to accompany strip steaks and steamed broccoli. I started with a recipe for Warm Spaghetti-Squash Salad from Food & Wine's website. I changed things up to our liking (we're not big olive fans here), took out the olives, added oregano and adjusted the amounts so we didn't have a ton of food. Click the link above for the original or enjoy my version at the end of this post. 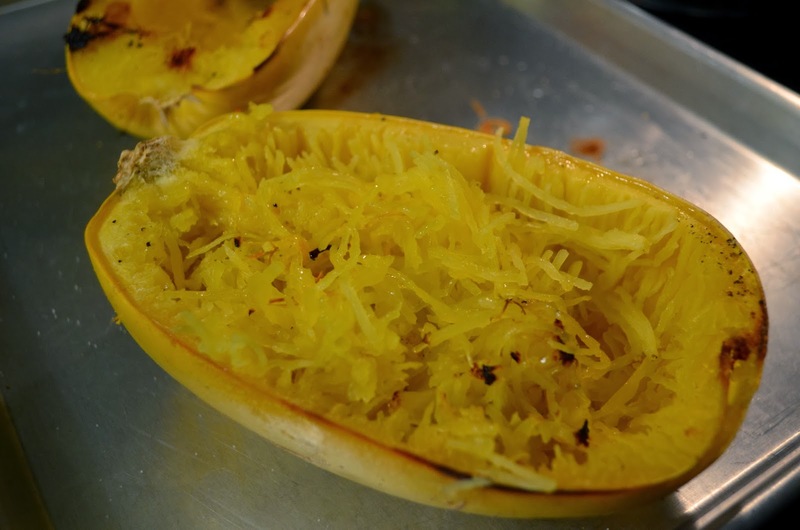 There are a number of ways to cook the spaghetti squash but my preference is to just cut it in half, scoop out the seeds and drizzle with a little olive oil and a dash of salt and pepper. Place cut side down on a baking sheet and place in a pre-heated 375 degree oven for about 45 min. This squash was just shy of 3lbs and this was the perfect amount of time. The recipe in the above link tells how to boil it. 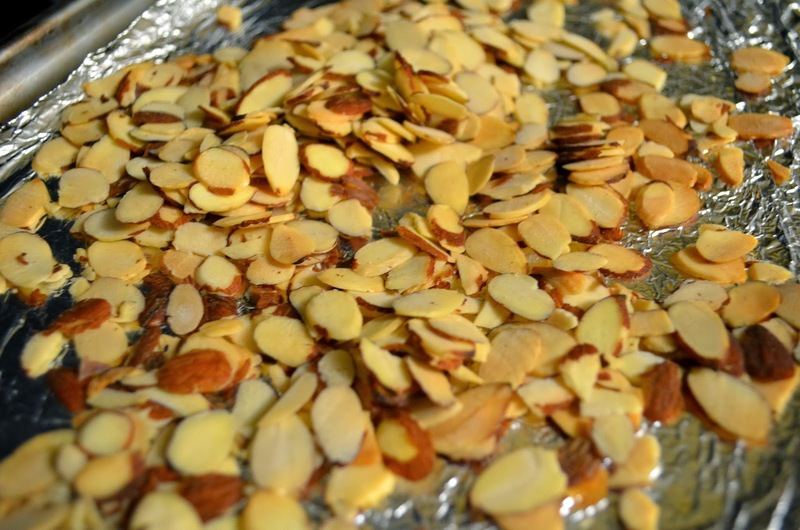 While the squash is cooking toast 1/4- 1/2 cup of slivered almonds. You can do this on the stove in a pan over medium heat or pop them in the toaster oven and bake at 300 for a few minutes. Keep your eye on them so they don't burn! This is a half cup but we really didn't need quite that many. Next make the dressing. 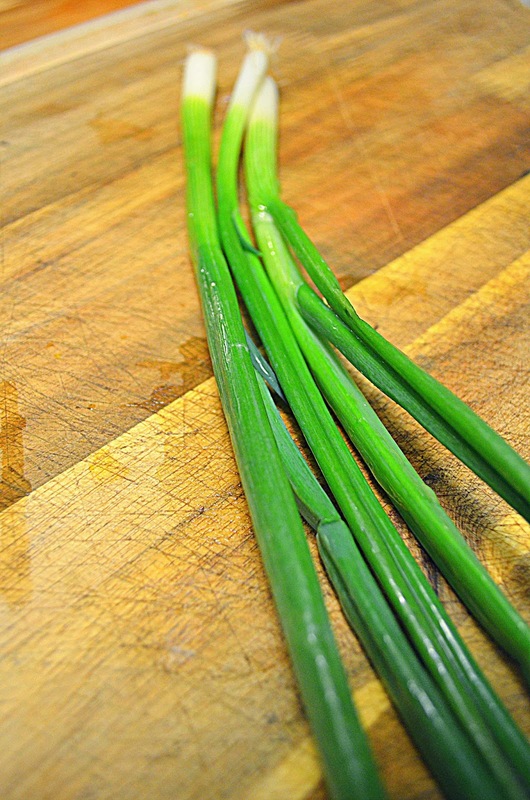 I used three scallions. White and green parts. That was bout a 1/4 cup. 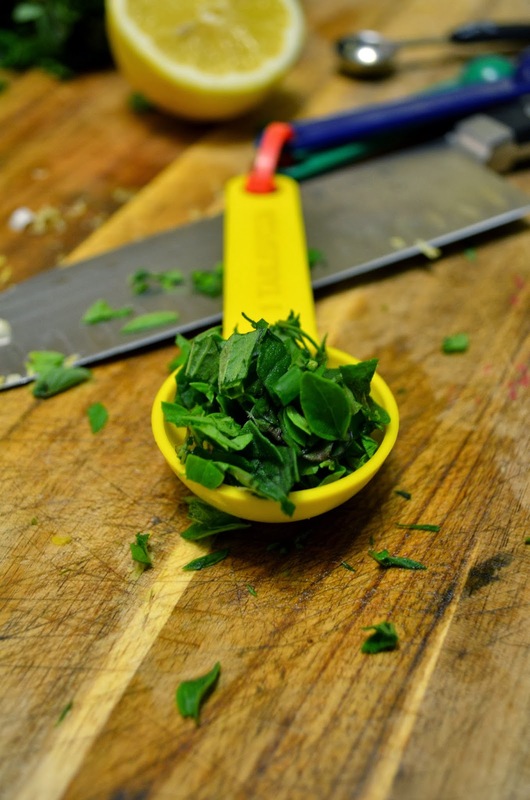 Put them in your mini food processor if you have one, or whatever other chopping apparatus you may use. 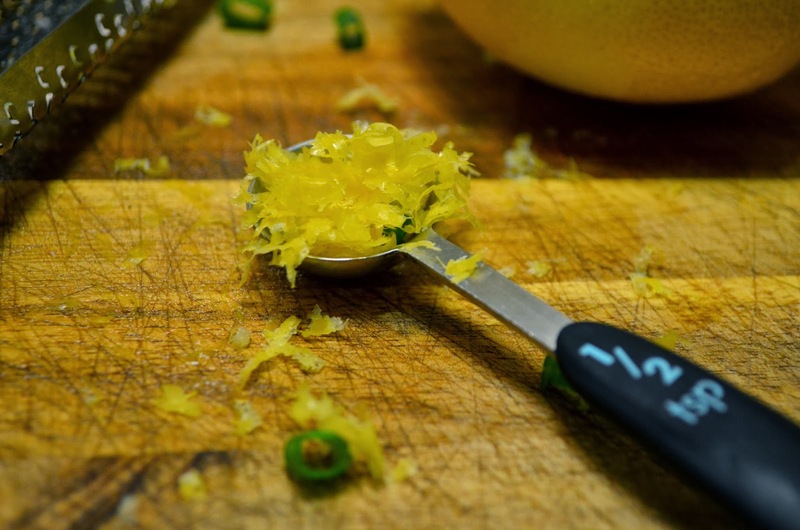 Next add 1/2 tsp of lemon zest to the chopper. 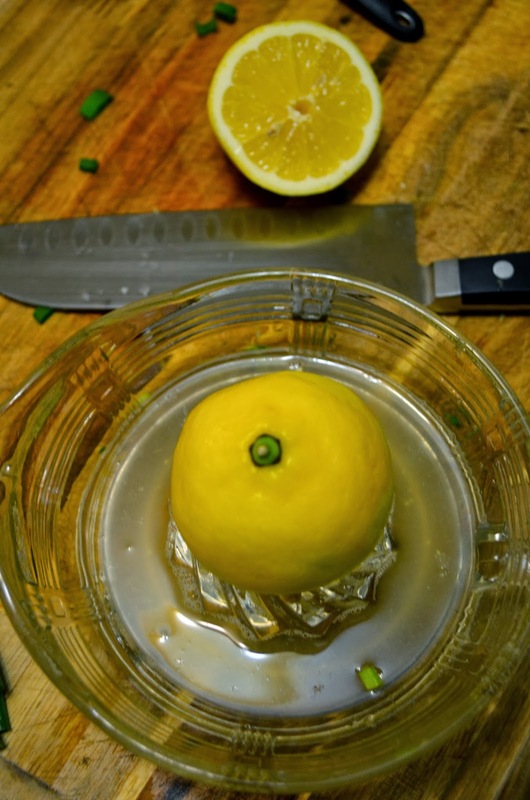 Juice half a lemon, and add 2 Tbs of lemon juice to the scallions and zest. This is where I improvised a little, adding some fresh oregano. Anyone who read this blog knows what I fan I am of this stuff. 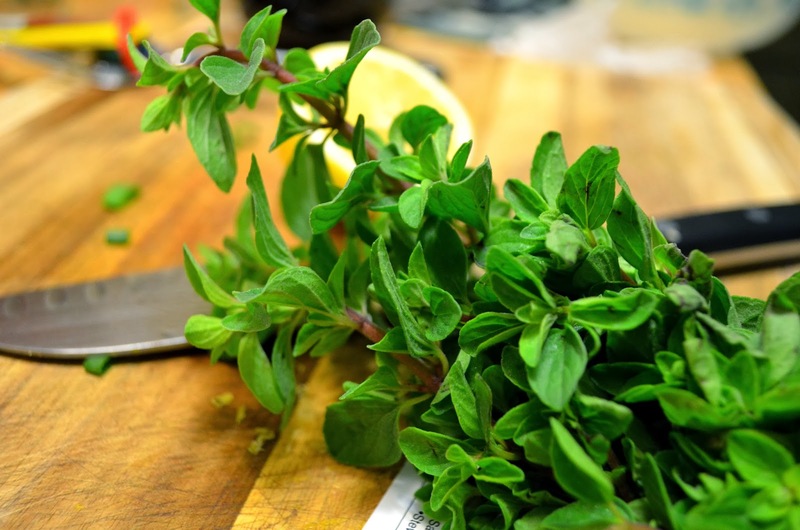 I'm always trying to convince you to get the fresh herbs, you can't beat them. Next I added a clove of garlic and 3 Tbs of olive oil, a dash of salt and pepper and pulsed it until it was a nice smooth dressing. The olive oil (and garlic) was another change on my part. The recipe calls for Canola oil which is something to steer clear of (click the link to learn more) and lots of it (1/4 cup plus 2 Tbs). Three tablespoons of olive oil worked well. You could add another Tbs if your squash is a little bigger. 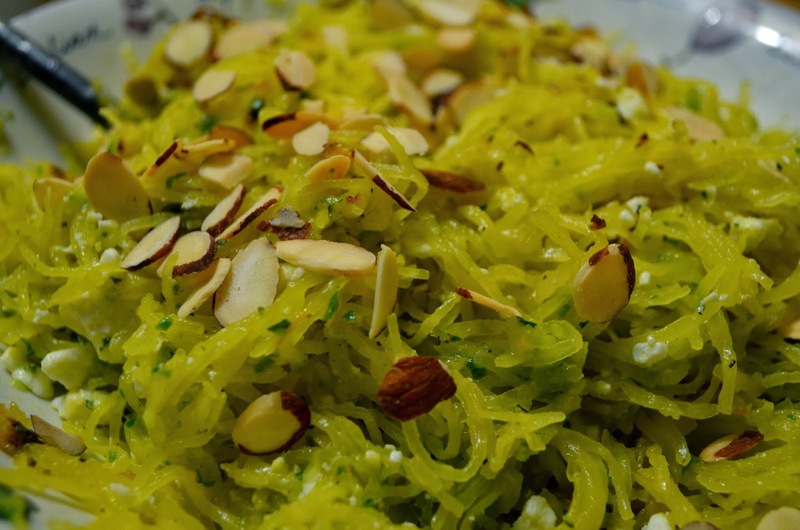 Once your squash has cooled enough to handle, you just scrape at it with a fork and what do you know, it looks just like spaghetti. Amazing. Put your squash in a bowl for the finishing touches. Pour your dressing over the top of the squash and toss. Add a quarter cup of crumbled feta and your toasted almonds. Serve warm. 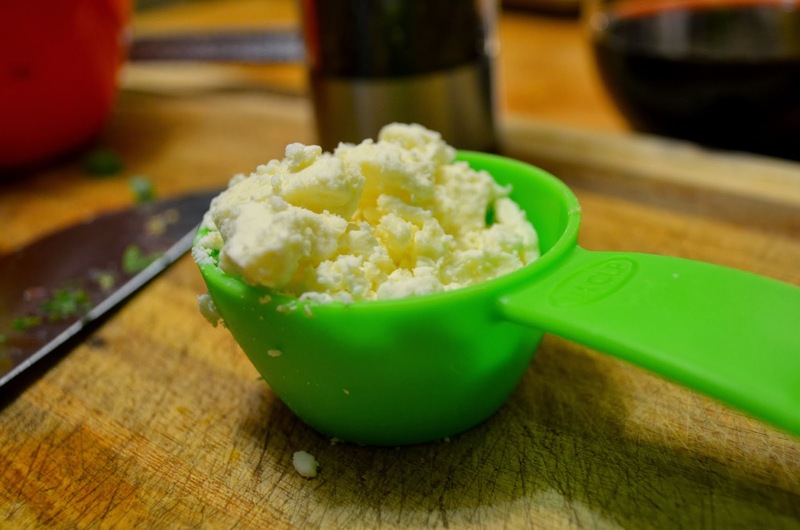 This was a hit with the whole family (I'm noticing the kids are getting to like feta, which wasn't always the case). I think I'm ready for some spaghetti squash with bolognese. 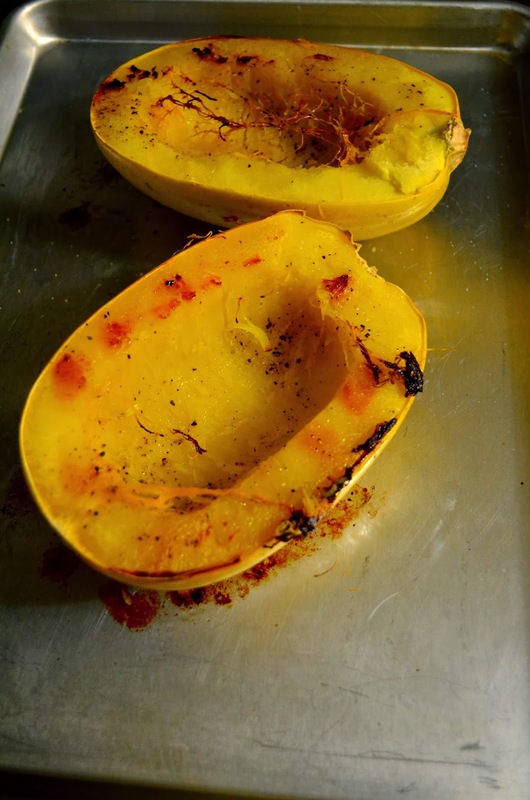 Cut squash in half, remove seeds and drizzle with olive oil, salt and pepper. Place cut side down on a baking sheet. Bake for 45 min (or until fork tender) in a pre-heated 375 degree oven. Set aside to cool when done. 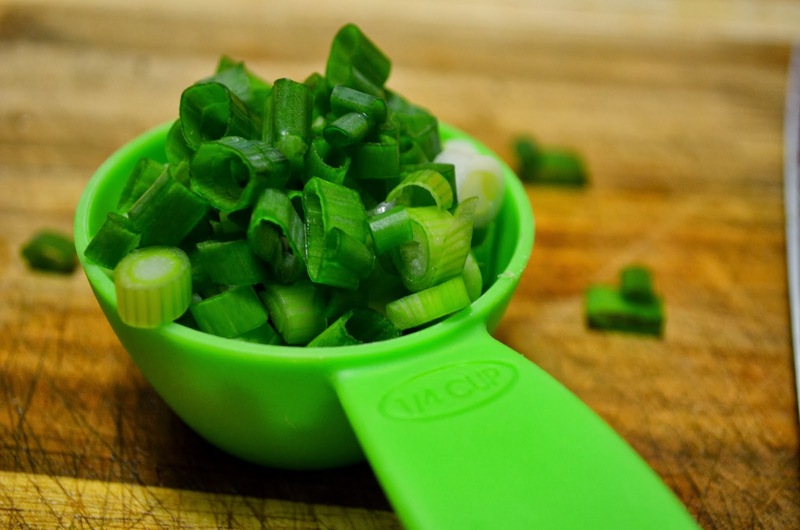 In a mini chopper or food processor, pulse the scallions, lemon zest, lemon juice, olive oil, oregano, garlic and salt and pepper to taste to a smooth dressing. When the squash is cool enough to handle, scrape into strands with a fork and place in a bowl. Toss with dressing, feta and toasted almonds. Serve warm. This was a great weeknight dinner. 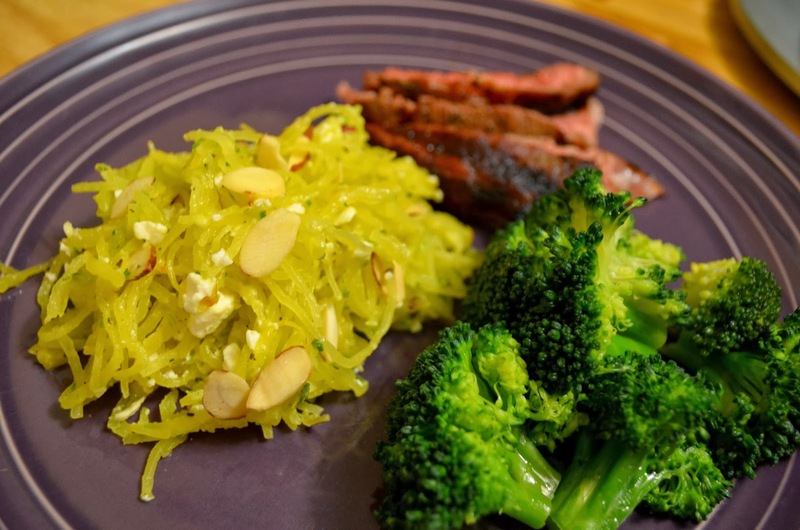 You can't go wrong with delicious and healthy sides to go with some fantastic grilled strip steaks. Baby It's (wicked) Cold Outside!